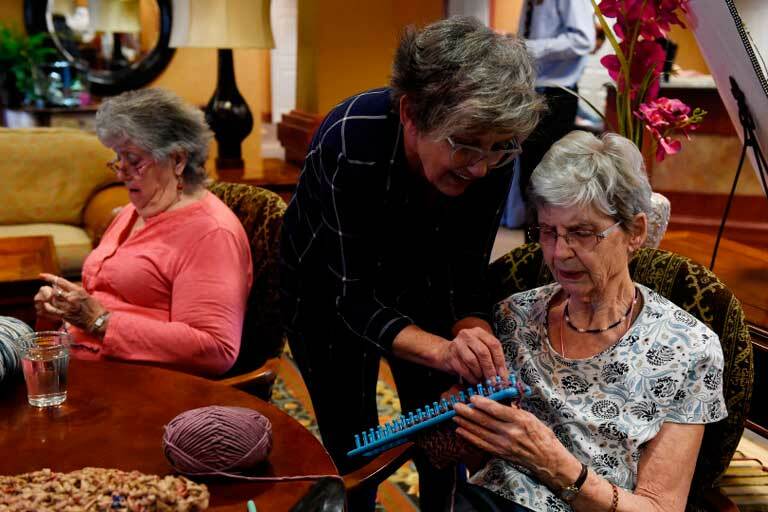 A love for knitting and crafting is the common thread that has pulled a group of Aurora women together for several hours each day for months. 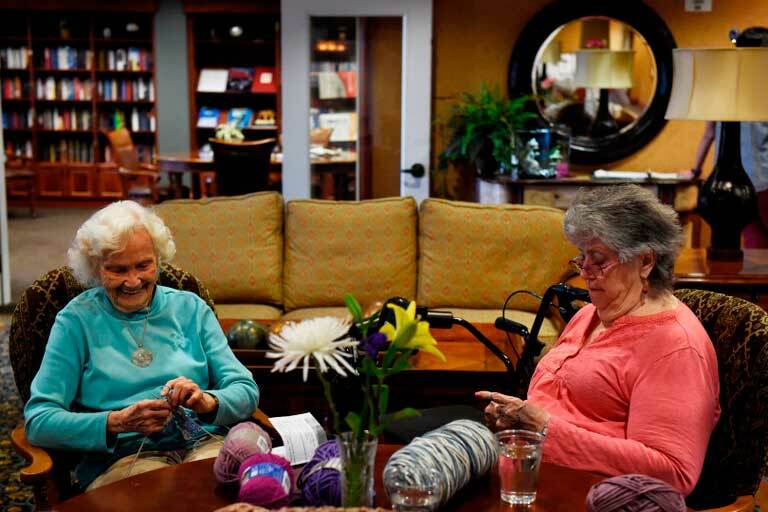 The Happy Hookers of Garden Plaza of Aurora, an independent living community, meets in the lobby at 14221 E. Evans Ave. to knit hats for chemotherapy patients, crochet sweaters for infants and weave plastic mats for homeless people. 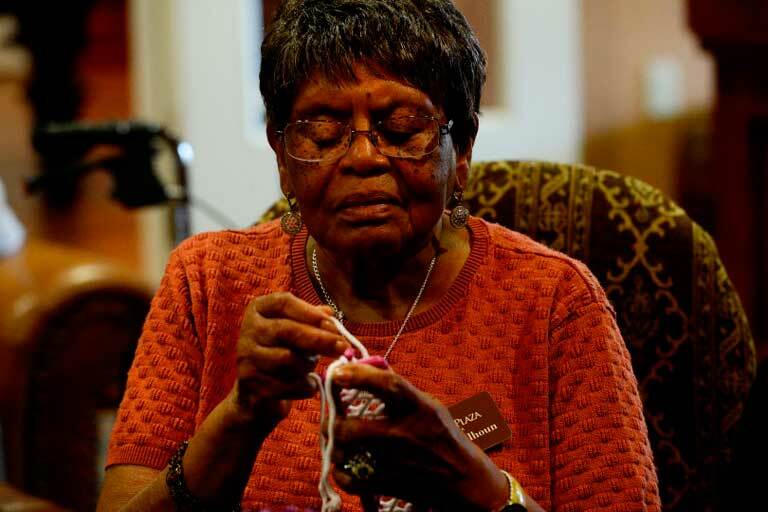 The impromptu project began a little more than a year ago when Debe Hunt was thinking of ways to entertain her 93-year-old mother, Shirley Martin, after she moved to Garden Plaza. At first, the focus was jewelry — necklaces, bracelets, lanyards. Over time the weekly art projects transitioned to knitting, something Martin can still do in her sleep. They made 85 blankets for children last winter and are making sleeping bag mats woven from plastic grocery bags to give to people with Doctors Without Borders. The Happy Hookers thrives on donations. The women occasionally sell jewelry to pay for supplies, but they are always in need of yarn and crafting tools. Christina Lynch has been crafting since 1972. 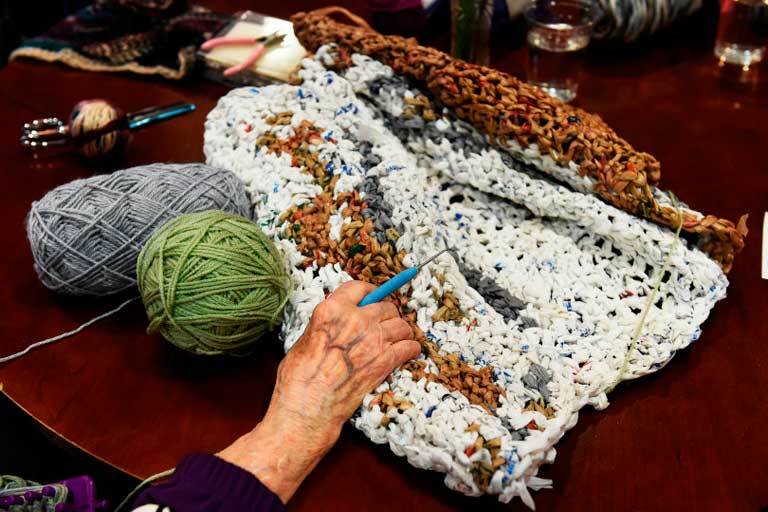 A few months ago, she saw Martin and others sitting together around a large wooden table at Garden Plaza, chatting and creating, and decided to join them. 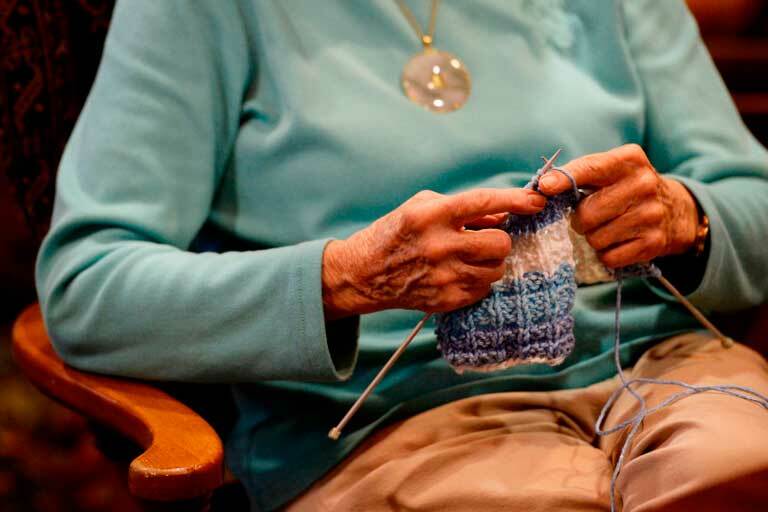 Sara Lewis, 74, prefers to knit. 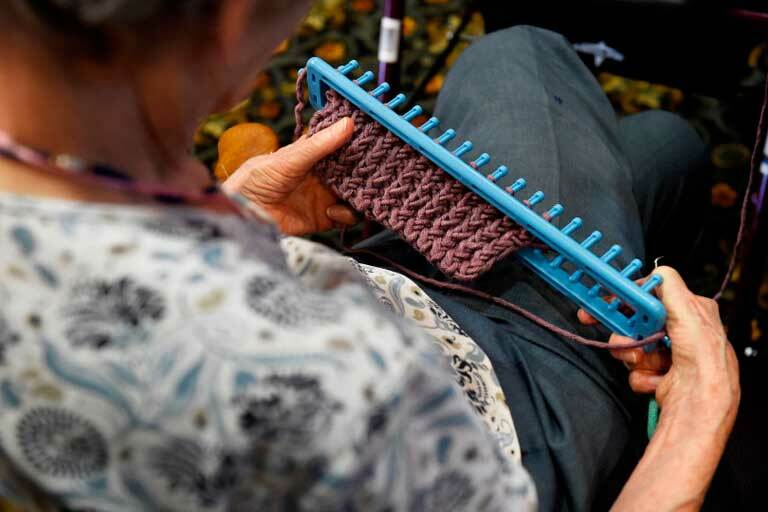 She knits for six hours with Martin every day. That’s just how she is, Hunt said of her mother. “My mother has always been artistic,” Hunt said. “My dad was a general contractor who built homes, and one time she mosaic-tiled the whole inside of a swimming pool with a picture of those people’s children. I can still remember her doing that. Hunt said she hopes to expand the group to the women’s families and anyone in the metro area who wants to join.